New York Giants wide receiver Sterling Shepard was carted off the field today with an apparent leg injury. NFL training camp marks the return of football activities, which is an exciting time for teams and fans. But it also is a time where we see the majority of injuries happen. And as we’ve seen already this offseason, a number of players have gone down with major injuries. The New York Giants could be the latest victim. Today, wide receiver Sterling Shepard was carted off the field after suffering an apparent leg injury. Shepard was reportedly in tears exciting on the cart with the training staff. NFL Network’s Ian Rapoport later confirmed that medical staff was looking at Shepard’s left ankle. There is expected to be an update on the situation after practice. #Giants WR Sterling Shepard was carted off the field today during practice and doctors were looking at his ankle. Update after practice. 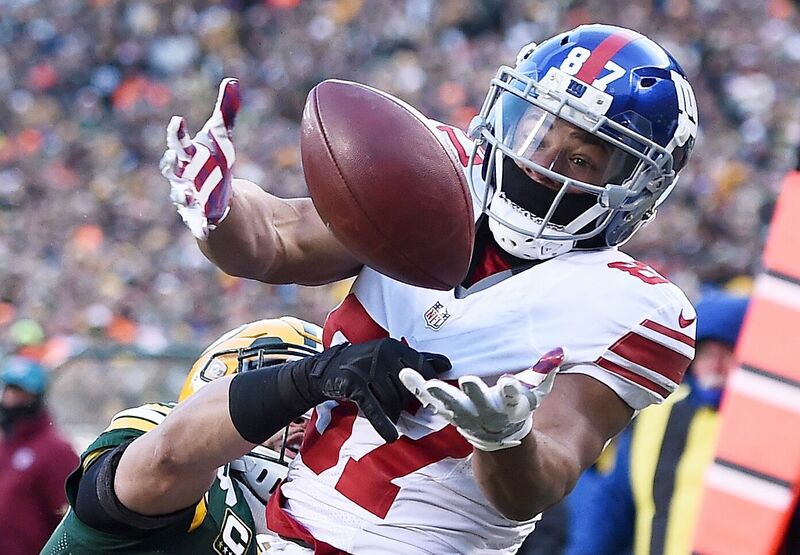 This is troubling news for a second-year wide receiver who the Giants have high hopes for. As a rookie last season, Shepard turned heads. The second-round pick started all 16 games at receiver, finishing with 683 receiving yards and eight touchdowns. He was second to only Odell Beckham in team receiving yards on the season. His play was good enough to earn him All-Rookie honors. Even with the addition of Brandon Marshall in free agency, Shepard was expected to have an important role in the offense this season. Along with Odell Beckham Jr., the three were set to be the main targets for quarterback Eli Manning. If the reports are as bad as they seem, Shepard could be missing a considerable amount of time. Usually when a player tears up they know the outcome isn’t good. On the positive side, if the injury is to his ankle, it’s better than the knee. Ankle injuries have proven to be much easier to come back from because you are dealing more with bone, rather than ligaments. Either way, the Giants are hoping for the best outcome from this situation. Behind Shepard on the wide receiver depth chart is unproven talent. Roger Lewis, Dwayne Harris and Tavarres King could see an increased role this season.